A new program promoting skill development through an online platform and community feedback. This post is sponsored by the Ulty Results. 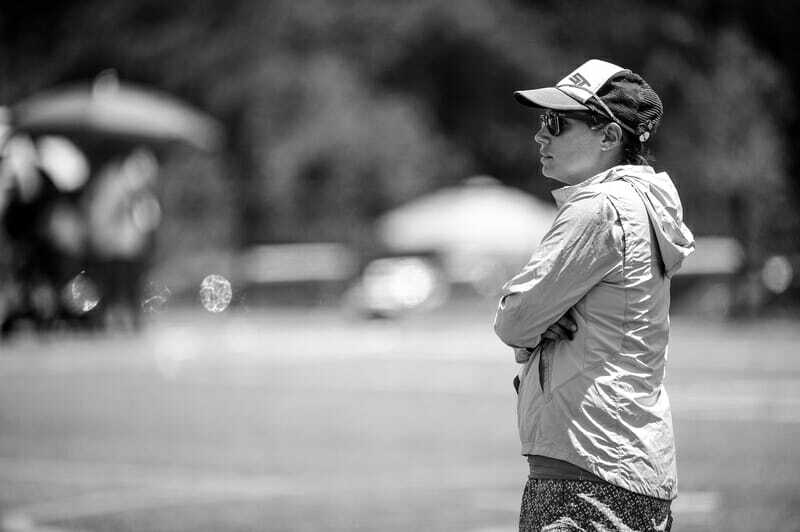 Expert coaches can help motivated players get good at ultimate very quickly. Unfortunately, we live in a world where the growth of the ultimate community outpaces the growth of the number of coaches available. As a consequence, many players don’t have access to coaching. Or their coaches end up being whoever is willing or whoever is most experienced. At Ulty Results, we strive to put performance and player development in the hands of the athletes. We’ve done this with The Ultimate Athlete Project since 2012 by providing professionally designed strength and conditioning programs just for ultimate. Now we aim to provide programming and a supportive online community for skills development. What makes the Skills Development Lab different? We will provide you with activities, exercises, and drills that you can do in one or two hours per week. We’re going to learn by doing. Yes, there will be things to read and videos to watch. But the Skills Development Lab is not a place for reading textbooks — it’s a place for doing experiments and discovering new abilities in your game. The Skills Development Lab gives you online instruction from elite coaches. Almost all of our coaches have experience with US, Canadian, Great Britain, or Australian national teams. These coaches have a deep knowledge of the sport and its athletes. They understand the minor details that separate the intermediate players from the elite players. Most importantly, they have experience in explaining these details to others. We have the best and most creative ultimate minds figuring out how to make activities for one or two people that will have an impact in one to two hours per week. It’s a big challenge, but If anyone can figure this out, it’s our expert coaching crew. Each month will focus on a different topic and be led by a different guest coach. To create the best possible learning environment, everyone in the Skills Development Lab will be encouraged to work on one skill at a time, one month at a time. During the month of their module, the guest coach will be available for Q&A sessions and give you feedback via our forums. Your time commitment will be one to two hours per week. Here are some of our coaches on board for the first few months. What if I only need some topics? The Skills Development Lab will be a monthly subscription. You’ll know in advance what topics will be covered each month. If you want to leave during months when you don’t think the content will be useful and come back when you want to, that’s fine. But the goal of the Skills Development Lab is to get you in the habit of making continuous improvements to your game. Based on our coaching staff, you should be able to pick up at least one small thing each month, no matter what the topic. We will likely increase the price to $15/month after we have a few modules of content complete and have ironed out any website, tech, or content problems. For $10/month you get first access to what we’re developing. You get to have input into what modules we’ll develop in the future. However, please be aware this is an introductory rate because there will likely be a few glitches the first time around! Yes. However, modules are designed to be done monthly starting at the beginning of each month. Coaches will be most involved and available while their module is live. Being with us during the “live” module means that you’ll be working through the skill with the rest of the group. You’ll have access to the current coach for Q&A sessions and they are committed to be active in the forum during the month that they are coaching their module. There are some pros of joining later. You will have access to all modules created prior to your sign-up date. This will give you some flexibility in deciding what skills you want to work on and when. The tech and content delivery may be more smooth a few months in. If you’re a perfectionist and don’t need the community feedback aspect of the learning process, then joining later may work for you. The Skills Development Lab opens Monday! Sign up here if you want to know when the doors are open. Then get out your calendar. Make an appointment with yourself and a commitment to your own skills development once or twice per week. Comments on "Announcing: Ulty Results Skills Development Lab"